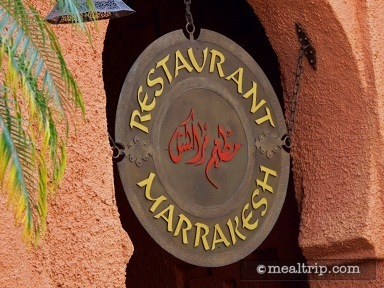 The Restaurant Marrakesh Dinner listing is a Table Service (wait staff) dining location at Epcot featuring Moroccan cuisine. There are 6 photos in the Mealtrip photo gallery for this location and dining period. 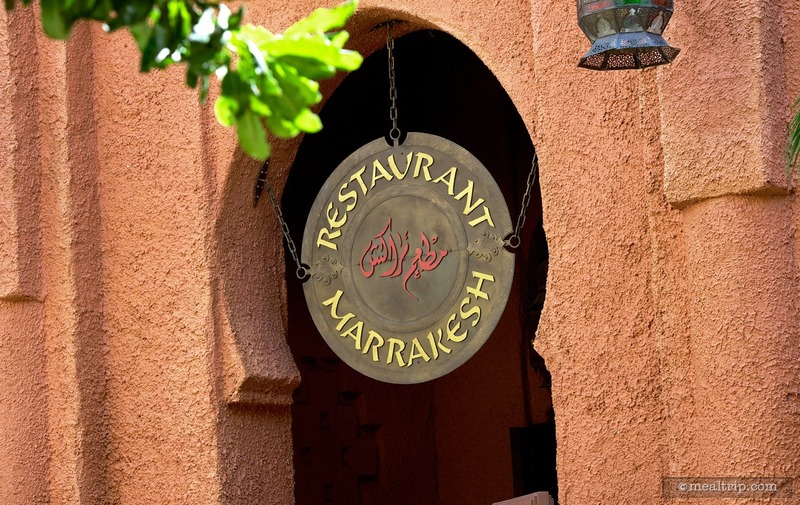 The Restaurant Marrakesh Dinner listing currently has a score of 61 out of 100. Click here to read all of the reviews for this location, or log in to Mealtrip.com to add your own review for Restaurant Marrakesh Dinner. Sign above the entrance to Restaurant Marrakesh. 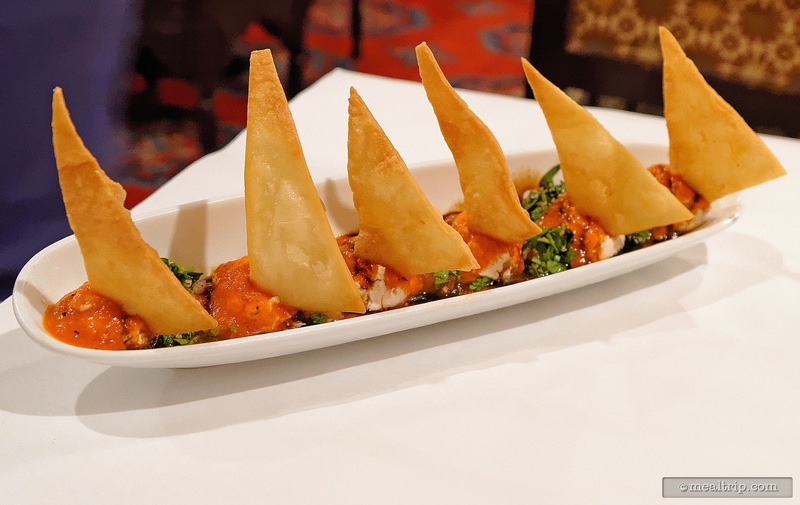 The Goat Cheese With Crispy Bread For Two is a mixture of creamy goat cheese and kalamata olives, served with tabouleh, red pepper sauce and a balsamic reduction. 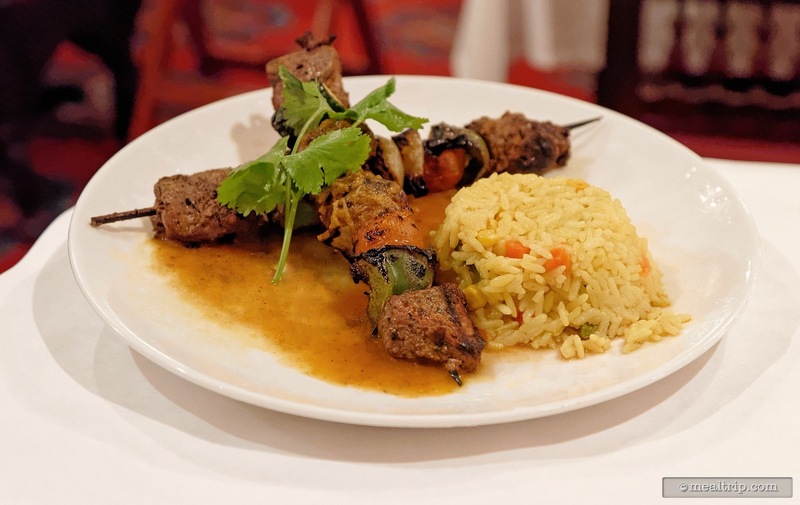 The Shish Kebab at Restaurant Marrakesh is grilled beef with mixed vegetables and yellow rice. 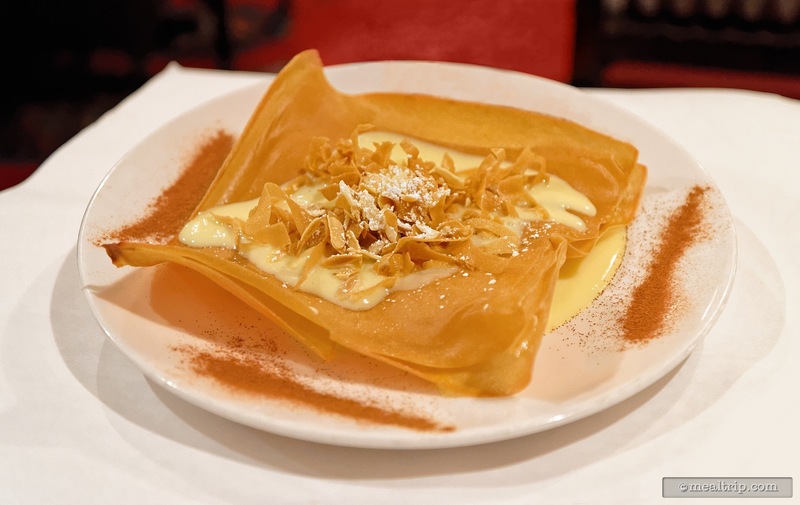 The unique Bastilla combines layers of phyllo dough, fried almonds and an orange custard cream anglaise, with a dusting cinnamon. 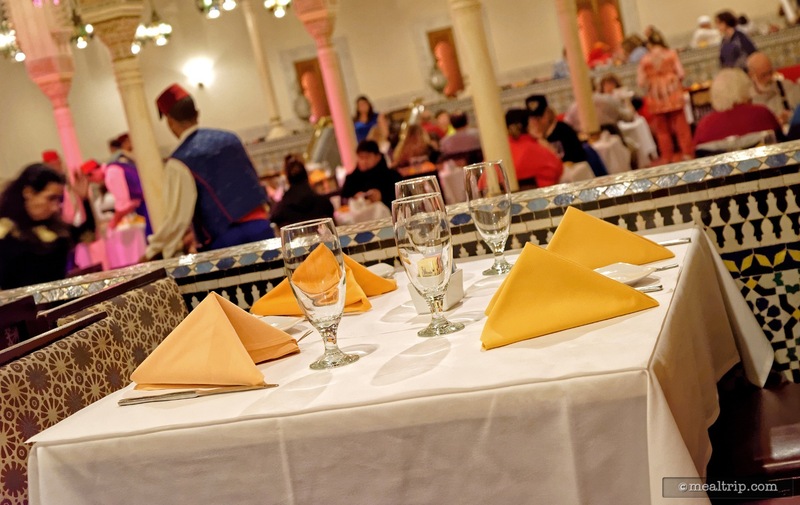 A table that has been set and is ready to go at Restaurant Marrakesh. 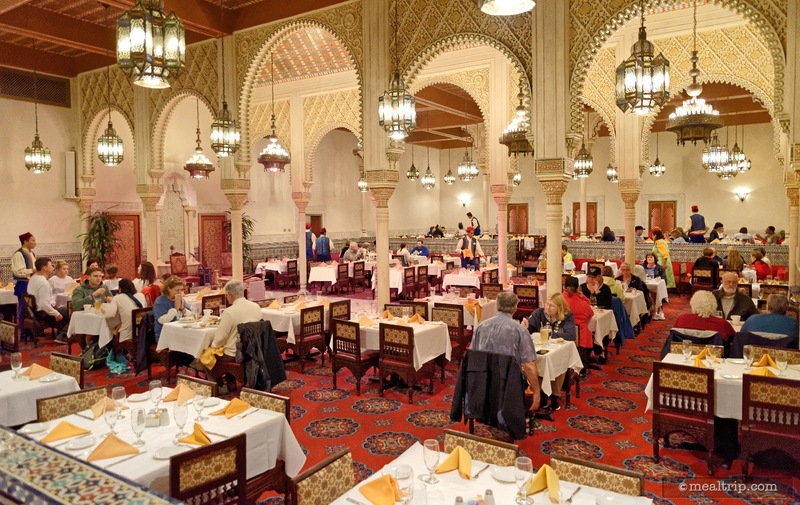 There is only one large, main dining room at Restaurant Marrakesh. The outer edges seem a bit quieter than in the center of the space, where the two piece band and belly dancer perform.